Beer experts picked the 20 best beers in the world, and 3 of our local beers made the list. New Glarus owns all 3 spots. 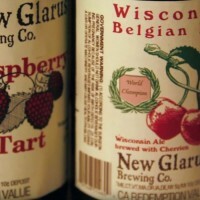 Serendipity was #13, Raspberry Tart was #9, and Wisconsin Belgian Red was picked as the #1 beer in the world. Both are perfect for a warm August weekend like this. What is your favorite beer?